Bath Breast Imaging Services Ltd offers private breast imaging with mammography, breast ultrasound and breast MRI for patients with breast symptoms or for breast cancer screening. Bath Breast Imaging Services are provided by the very experienced Consultant Breast Radiologists, Dr Dorothy Goddard and Dr Claudia Betancourt, and Associate Specialist Breast Clinician, Dr Diana Dalgliesh. They all work in the NHS Breast Unit within the Royal United Hospital Bath. They are core members of the NHS Breast Multidisciplinary Team working very closely with their medical colleagues in breast surgery, pathology and oncology and with their nursing and radiography colleagues. Private breast imaging is provided at the Breast Unit within the Royal United Hospital; at the Bath Clinic BMI Hospital; and at CircleBath Hospital. 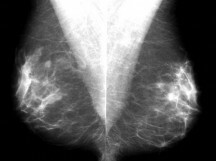 Patients with a breast problem may be referred by a medical practitioner for diagnostic breast imaging – prior to consideration for referral to a breast surgeon. 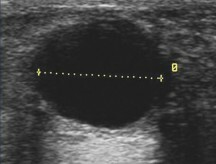 The mode of imaging will be determined by the clinical information, and image guided biopsy, if required, can be performed at the same visit. Symptomatic breast problems are normally investigated by mammography and/or breast ultrasound-proceeding to image guided aspiration or needle biopsy as required. Breast screening with mammography is available for women aged 40 years or over – up to any age. Digital mammography is acknowledged to be more sensitive than standard film mammograms for younger women, and this is available at each of these breast imaging centres. Breast Ultrasound is usually performed in conjunction with mammography – with image guided aspiration or biopsy performed at the same time. Breast screening with MRI is available for women with a high risk for breast cancer, such as those with a family history of breast cancer, or women with previous breast cancer who have been advised to have this additional form of breast surveillance.